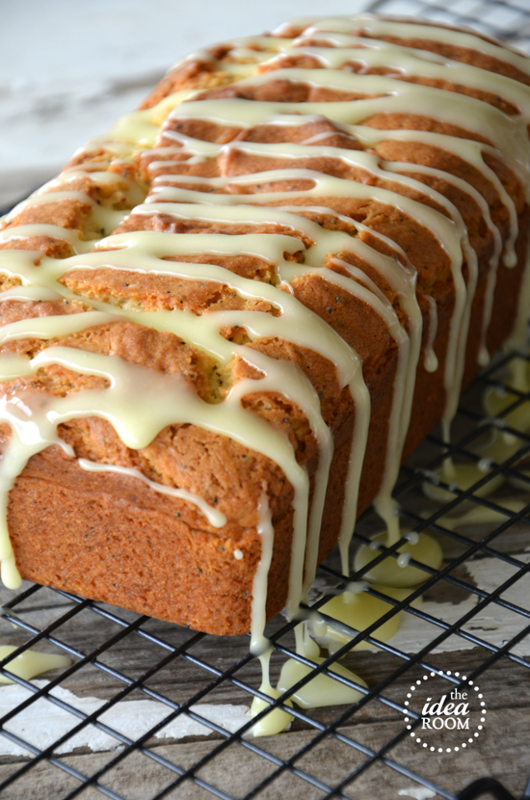 Looking for a delicious lemon bread? 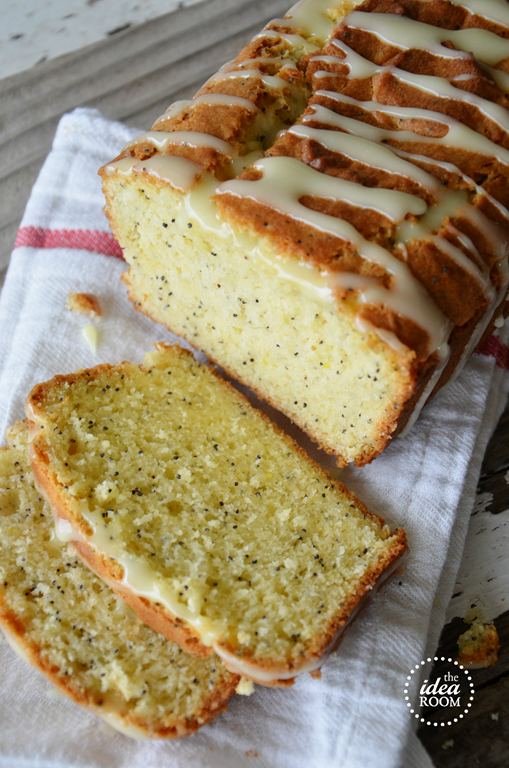 Try our moist and tasty Lemon Poppy Seed Bread. A quick and easy bread recipe! My family loves when I whip up a simple quick and easy bread recipe. We haven’t made this lemon bread for a while now. 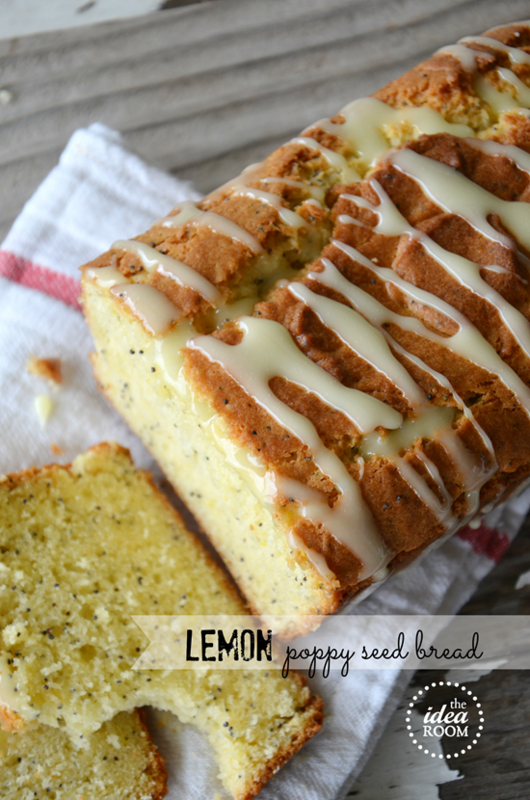 So I thought it was time to whip up one of our family’s favorite… Lemon Poppy Seed Bread. This Lemon Poppy Seed Bread recipe never disappoints. And the Lemon Glaze gives it an extra lemony zing. The weather here has been amazing and the promise of summer is finally here, and lemony desserts scream summer. 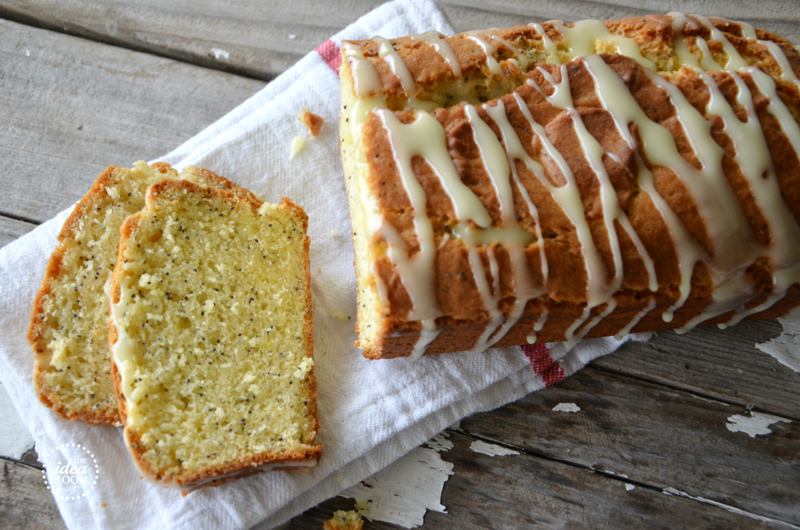 If you are heading to a Memorial Day Barbeque, this Lemon Poppy Seed Bread could be the perfect addition to your table. Or serve it up for a June Bride at her Bridal shower. Preheat oven to 350 degrees. Grease two large loaf pans (9×5) and set aside. Place all ingredients in a bowl and mix with an electric beater for 2 minutes. Pour into pans and bake for 55 minutes or until a toothpick inserted into the middle of the bread comes out clean. Let bread cool completely. While cooling make the lemon glaze. Drizzle lemon glaze over the top and sides of the Lemon Bread. Keeps up to one week in air-tight container. Looking for some other easy to make and delicious quick bread recipes? Check out these other quick breads we have shared! We love to bake our quick breads in these long loaf bread pans! The bread seems to bake more evenly without burning around the edges and remaining uncooked in the middle. You can find the ones we use here. Thanks for sharing Amy, I love anything lemon! I can’t wait to make this! I’m not but my hubby is, I make him do this one since I do most of the other field trips, Sorry! We should try and fit lunch in before school gets out though, I would love that. This is my go to lemon bread/ cake. I don’t know how many times I’ve made this. Great recipe! The lemon glaze on this bread is a little runny. If you want to thicken it a little add 1/2 to 1 tsp. corn starch. I’ve been poking wholes in the bread and pouring the glaze over while it is still warm. Also, if you squeze the other half of the lemon used to make the bread into a 1/4 measuring cup and then top it off with the orange juice, you get a more lemony bread. This looks delicious, but I’m confused. There’s no lemon in the bread or the glaze? Thank you so much for noticing that. I accidently left that out when I was typing it up. It has been fixed. Great catch! Don’t want anyone to have trouble with the recipe. Any GF suggestions? I’d love tips on adjusting it for a GF version. This looks so yummy! I will be making this…soon! Hi Amy! 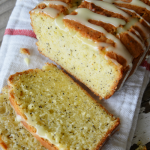 I wanted to let you know that your photo has been plagiarized by a large, high-traffic recipe site here – http://www.getcrocked.com/2014/02/10/slow-cooker-lemon-poppy-seed-bread/ This woman has over 1 million facebook fans as well as an e-book (likely with plagiarized photos and recipes), and an app in the itunes store. I have been searching her site and finding MANY recipes where she has stolen a photo from a blog or recipe site with no credit, and attached it to a slow cooker recipe (which is obviously very misleading, as a loaf of lemon poppy seed bread from a crock pot certainly wouldn’t look nearly as pretty as yours does!) Just thought you’d like to know in case you want to take action against this woman and her website. But I am pinning your recipe – it sounds delicious! This doesn’t seem to be enough powdered sugar for the glaze. I’ve made this about 3 times now & have had to add extra powdered sugar or it’s way too thin. Is this maybe a typo? It’s delicious! I lost the recipe & thought I had pinned it on pinterest and turned out it was a different one so have frantically been searching and finally found it. Have 5 mini loaves in the oven right now & smells amazing! I love the recipe but I’m having the same trouble with the glaze being too thin. Should it be 3 to 4 cups of powdered sugar rather than 3/4 cup? It looks like this recipe is to make 2 loaves. Can I halve this recipe if I just want to make one loaf? I agree it isn’t as lemony as I would have liked. Next time I will try adding some lemon extract. It was still very YUMMY! Thanks for sharing! You can for sure add more Lemon. Glad you enjoyed the recipe. My daughter LOVES lemon poppy seed muffins but this is the first we’ve tried bread- YUMMY!!! Becca- Yay, so glad that you enjoyed this recipe! This look so moist and delicious! My family will LOVE your recipe! Heather- It really is delicious. Enjoy! This is by far one of my most favorites breads/muffins!! It’s so refreshing & light & I love that glaze!